Small shrimp-like plank-tonic crustacean of the open seas. It is eaten by a number of larger animals, notably the baleen whales. Krill congregate in groups so large that they can be discerned from space. Most life forms in the Antarctic would disappear without krill in the ecosystem. All penguins eat small fish, some more than others. Only about 4 percent of the chinstrap penguin’s diet consists of fish. About 90 percent of an emperor penguin’s diet is fish. They catch and eat fish with powerful beaks and backward-facing barbs of their tongues. 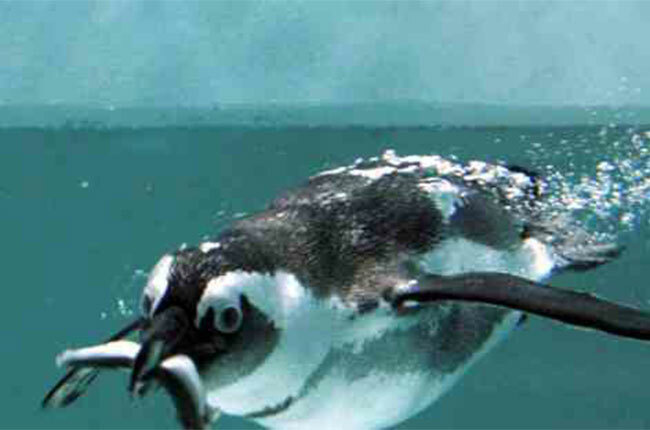 Penguins favor small schooling fish like sardines, smelt, herring and anchovies. Gentoo, emperor and rockhopper penguins, among others, eat squid as they become seasonally available. Squid are soft-bodied cephalopods with large brains, eight arms and two hearts. Penguins increase the number of squid they eat as the prey become more plentiful in the summer months. They eat juvenile squid and small squid including the arrow and the greater hooked. Chinstrap penguins have been known to eat amphipods, which resemble shrimp. They do not have a hard covering over the thorax, unlike most crustaceans. Amphipods, a dominant fauna on the underside of sea ice, provide food for penguins, fish, seals and other birds. These tiny creatures inhabit nearly all aquatic habitats.